The Alan M Voorhees Transportation Library and Oral History Initiative is an effort to preserve the contributions and stories of renowned transportation professionals from New Jersey and throughout the United States. This project has two significant parts. First, with the help of the Rutgers University Libraries, we collect, index, and archive documents, reports, and other materials that may be of historical significance to transportation planning and engineering that are not readily available through other sources. Second, we record, edit, and distribute oral history interviews with significant contributors to New Jersey and United States transportation planning. The goal of the project is to make these materials available in perpetuity for the research community and interested public. Funds for the collection of materials were made available through generous donations by the Alan M. Voorhees Transportation Center board members and the University Transportation Research Center grant program. To date, we have interviewed and documented the careers of several prominent transportation professionals. Links to transcripts are available below; audio files will be available in the future. On three separate occasions, Lou Gambaccini retired from the transit industry only to be called back for his expertise. In a career spanning four decades, he headed the Port Authority of New York and New Jersey, NJ TRANSIT and SEPTA. In fact, while with the New Jersey Department of Transportation, Gambaccini spearheaded the efforts that established NJ TRANSIT, which is now one of the largest transit agencies in the U.S. I can see no alternative but an increasing transit role driven in part by the very success of the growth of highway traffic, which must impel relief by providing alternatives to gridlock and to the declining mobility of our population. 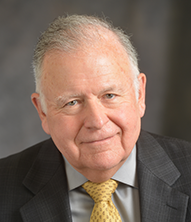 A leader and innovator in the field of transportation, Tom Deen has had a distinguished professional career highlighted by his commitment to excellence and pursuit of solutions to transportation problems. In 1956 he became the assistant city traffic engineer for Nashville, Tennessee, where he later served as the director of the Nashville Area Transportation Study. 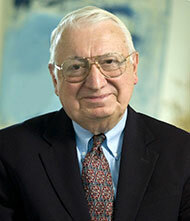 He joined the National Capital Transportation Agency in Washington, D.C., as Director of Planning in 1961. This agency was responsible for preparing the initial plans for construction of the Washington, D.C., rail transit system. He was a partner in the renowned planning firm of Alan M. Voorhees, a worldwide leader in urban transportation planning during the 1960s and 1970s. 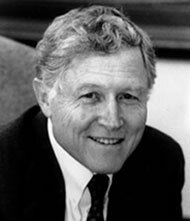 From 1980 until his retirement in 1994, Mr. Deen served as the Executive Director of the Transportation Research Board – the national transportation research organization and a division within the nonprofit National Research Council of the National Academies of Science and Engineering. 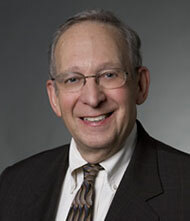 Martin Robins has nearly 40 years’ experience in the field of transportation planning and policy. He served as director of the Alan M. Voorhees Transportation Center at Rutgers University and in 1998 founded its predecessor organization, the Voorhees Transportation Policy Institute. Today he manages his own transportation consulting firm. Previously, he was project director of Access to the Region’s Core, director of NJ TRANSIT’s Waterfront Transportation Office, director of planning and development for the Port Authority of New York and New Jersey, deputy executive director for NJ TRANSIT, and director of policy analysis for the New Jersey Department of Transportation, where he assisted then-Commissioner Louis Gambaccini in the effort to create NJ TRANSIT. Martin Wachs is Professor Emeritus of Civil & Environmental Engineering and of City & Regional Planning at the University of California, Berkeley, where he directed the Institute of Transportation Studies. He earlier spent 25 years at UCLA, where he was Chairman of the Department of Urban Planning for eleven years. After retiring from the University, Wachs became the Director of the Transportation, Space, and Technology Program at the RAND Corporation in Santa Monica. He remains active teaching courses and conducting research at UCLA in transportation policy and working on transportation policy projects at RAND. Wachs is the author of 180 articles and wrote or edited five books on subjects related to transportation finance and economics, relationships between transportation, land use, and air quality, transportation needs of the elderly, techniques for the evaluation of transportation systems, and the use of performance measurement in transportation planning. His research also addresses, equity in transportation policy, crime in public transit systems, and the response of transportation systems to natural disasters including earthquakes. 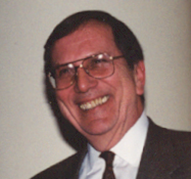 Dr. Wachs served on the Executive Committee of the Transportation Research Board for nine years and was the TRB Chairman during the year 2000. He is the recipient of numerous distinguished fellowships and awards, including a Lifetime Associate of the National Academy of Sciences and the lifetime achievement award as “Distinguished Planning Educator” by the Association of Collegiate Schools of Planning. Dr. Wachs was Transportation Policy Advisor to Los Angeles Mayor Richard Riordan, and was appointed by Governor Pete Wilson to a “Blue Ribbon Commission on California Infrastructure.” He currently serves on a statewide committee created by the legislature to design a new system of road user charges for California to succeed the motor fuels tax. Martin Wachs is married to Helen Pollner Wachs since 1963 and they have two children and two grandchildren all living in Los Angeles. For the last 35 years Mr. Pisarski has served as an independent writer, analyst and consultant in areas related to travel behavior, transport policy, and data development. A keystone of these activities has been the recurring nature in which his studies have been conducted and updated over several decades. These include several National Transportation Studies; The Bottomline series; and the Commuting in America series. He represented the United States in International Agencies such as the United Nations and the Organization for Economic Cooperation and Development, OECD, chairing the United Nations Group of Experts in Transportation Statistics. As a consultant he has served the US AID, the World Bank, the United Nations, the European Union, the World Tourism Organization and the European Tourism Commission in statistical program matters. His work has been translated into seven languages. He has advised the US Department of Transportation, the Bureau of the Census and other federal statistical agencies, commissions and private public policy associations on matters of measurement of transportation and travel and effective designs for transportation surveys and data collection. At the national level he has been invited to testify in both Houses of the United States Congress on many occasions regarding economic and demographic factors that define travel demand, infrastructure investment requirements and public policy. At the state level he has been invited to advise state Gubernatorial and Legislative Commissions regarding their economic, social, demographic and infrastructure circumstances. His career has been closely allied with activities within the National Academy of Sciences and its Transportation Research Board and has received several honors from the Academy over the years. In 2007 he received TRB’s highest award, the W.N. Carey, Jr. Award, for Distinguished Service in support of transportation research.